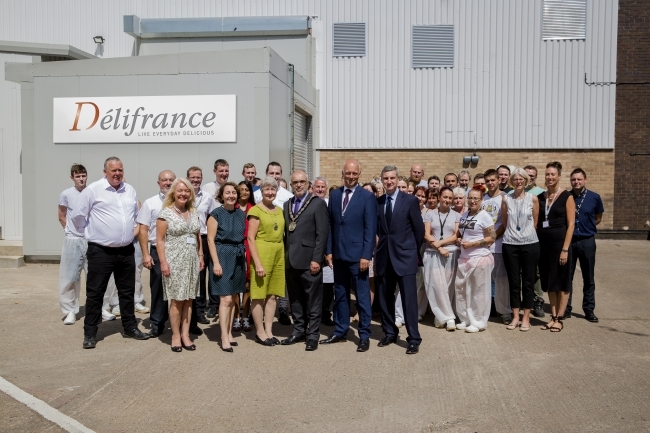 Délifrance, producer of bread, viennoiserie, pâtisserie and savoury products for the foodservice, retail and bakery sectors, has unveiled a £4 million evolution of its production facility at Wigston in Leicestershire, doubling the site’s capacity. The advanced, more environmentally-friendly facility sits alongside the current Wigston site and will produce more fresh viennoiserie to accommodate growing UK consumer tastes. Délifrance has been producing a wide array of products, from frozen baguettes to fresh croissants, at its Wigston site for 20 years, but this year marks the tenth anniversary of the site’s fresh viennoiserie line opening. The UK’s passion for exceptional viennoiserie has grown exponentially over the past decade, leading to the need for the fresh viennoiserie production facility to expand. The production facility produces two types of viennoiserie products: thaw & serve, and fresh pre-packed. This includes a range of Délifrance favourites – croissants, pains au chocolat, pains aux raisins and chocolate twists. While thaw & serve products are more common-place across Europe, fresh pre-packed products are quite unique to the UK market. The site features a brand new finishing room, giving the experienced Délifrance team the opportunity to fill and decorate products. Eye-catching colours and product variety are two of the biggest trends of the year, and with this trend set to continue into 2019, this room gives Délifrance a competitive edge. 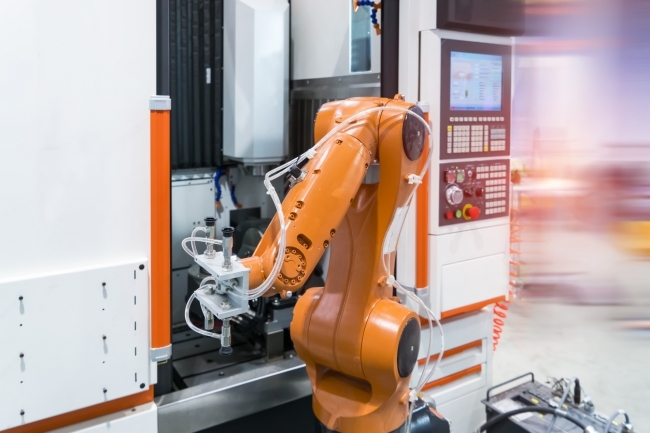 Output and new orders growth among the UK’s small and medium-sized (SME) manufacturers picked up considerably in the three months to July, according to the latest quarterly CBI SME Trends Survey. The survey of 324 respondents showed that total new orders rose at their fastest pace since 1995, off the back of strong growth in both domestic and export orders – both surpassing expectations of much weaker growth. Output also rose strongly over the past three months, but SMEs expect to see a significant slowing in the pace of growth for both production and orders over the next quarter, with domestic orders expected to flatten out. Optimism about export prospects in the year ahead also rose at a much slower pace. Investment intentions were also a mixed bag. Firms expect to increase spending on plant & machinery in the year ahead, with investment plans at their strongest in the survey’s history (since Oct 1988). But investment on intangible areas – product & process innovation and training and retraining – is expected to fall at a pace unseen since the financial crisis. Numbers employed grew strongly again, matching the record pace seen in the previous quarter. 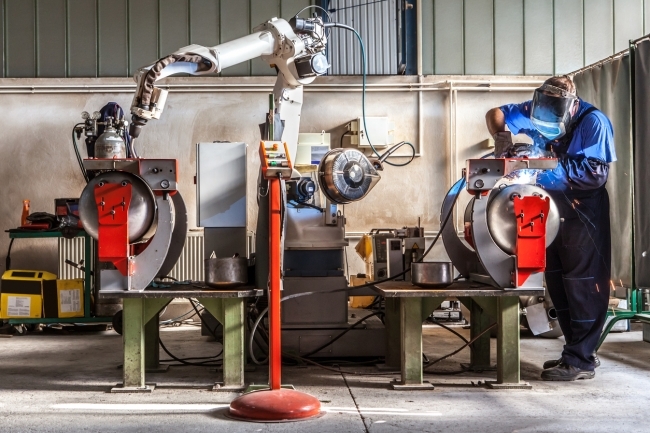 However, concerns over skill shortages rose, with the number of firms citing skilled labour as a factor likely to limit output rising to its highest since 1988. Pricing pressures also remained intense. Average unit costs growth remained elevated, and domestic prices also continued to rise strongly. In the face of continuing cost pressures, firms have been stockpiling, with growth in stocks of both raw materials and work in progress the fastest on record. 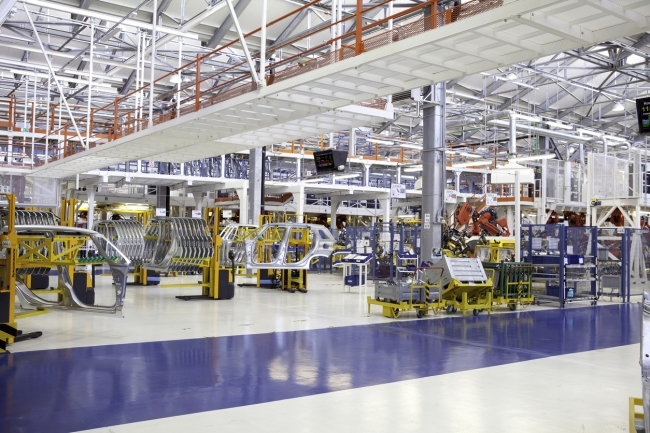 PROJECT SWAN – our new automated rim line with robotic technology. Harley Earl, legendary vehicle stylist for General Motors from 1927 through the end of the 1950s, revolutionised the design of mass-produced automobiles by thinking of the car as a work of art — or, at least, fashion — rather than a purely utilitarian product. One of his main weapons in that revolution was clay. A sculpted model helped his clients get a feel for a proposed design in a way that sketches and diagrams simply couldn’t communicate. 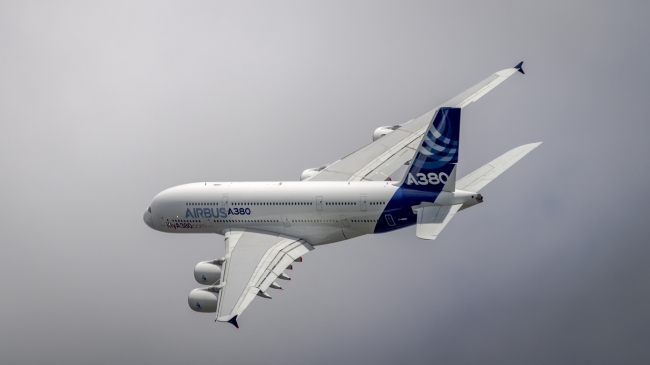 But that was a long time ago, and modern automotive designers now have at their disposal computers, specialised design software, large-scale 3D printing, computerised milling processes, and fancy virtual reality setups. In an age when vehicle styling teams have supercomputers and virtual reality at their disposal, a venerable — and defiantly low-tech — design tool persists. “Why clay?” laughs Joe Dehner, Head of Ram Truck and Mopar Design for Fiat Chrysler, “I asked the same question when I got here 28 years ago, yet here we are doing the same thing.” Lloyd VandenBrink, modelling manager at Ford Truck Studio in Dearborn, Michigan, is a big believer, as well. “Clay has two characteristics that make it good for use. It’s easy to change — you just add it, or take it away. It allows you to be creative and come up with something quickly. 3D printing, on the other hand, is just that — printing.” “Secondly, it’s a great collaborative tool,” he continues. “Everyone can get around it, brainstorming three-dimensionally.” Read more about this marvellous medium’s role in the design process, and why, up to this point, they’ve never found anything better. For years, companies, universities and nonprofits have researched the reasons why women are less likely to enter STEM fields — and why, once they enter, they face challenges that frequently push them out. In previous US research, the Center for Talent Innovation (CTI) found that women leave STEM fields in droves: 52% of highly qualified women working for science, technology, or engineering companies leave their jobs. Yet many other women have managed to build highly successful careers with degrees in STEM disciplines. How did they do it? A new research study at CTI uncovers, through a nationally representative survey of 3,212 individuals with STEM credentials, the differentiators of success for women in STEM. To understand how they do it, they examined what differentiates successful women from other women in STEM, and identified six key things. From claiming credit for your ideas, investing in peer networks and building up protégés, this article looks at six strategies that have helped women in STEM achieve success. Transporting world leaders from A-to-B is a complex endeavor, usually accomplished using motorcades, escorts, roadblocks, and all sorts of bullet and bombproof vehicles. Incorporating that level of technological sophistication into a stylish vehicle worthy of transporting any head of state is no easy task. This article and fascinating graphic looks at official state vehicles, from the unparalleled Cadillac One that transports President Trump, to the understated ’87 Volkswagen Beetle driven by former Uruguayan president, Josè Mujica. Why did the busiest person in the world, former president Barack Obama, read an hour a day while in office? Why has the best investor in history, Warren Buffett, invested 80% of his time in reading and thinking throughout his career? Why has the world’s richest person, Bill Gates, read a book a week during his career? And why has he taken a yearly two-week reading vacation throughout his entire career? Why do the world’s smartest and busiest people find one hour a day for deliberate learning, while others make excuses about how busy they are? The answer is simple: learning is the single best investment of our time that we can make. Or as Benjamin Franklin said, “An investment in knowledge pays the best interest.” So, how do we learn the right knowledge, at the right time, and have it pay off for us? The six points explored in this article serve as a framework to help you begin to answer this question.